Born in New York in 1928, Gene DiNovi is one of the few musicians in his generation who is still actively playing. Indeed, at the age of 78 (as of 2006) he shows no sign of stopping, releasing new albums at a vigorous pace from Japanese label Marshmallow Records. Initially influenced by Teddy Wilson, Ellis Larkins and Duke Ellington, he made a successful transition to the bebop style. He worked for a long time supporting singers such as Peggy Lee (1949-50), Tony Bennett (1950-51), Anita O'Day and Lena Horn (1955-63), Mel Torme (1968) and Carmen McRae (1960s-70s). 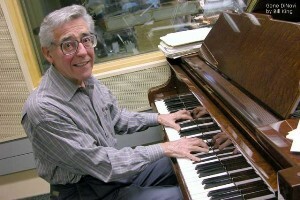 Gene DiNovi now lives in Toronto, Canada, and continues to delight jazz fans with his swinging yet beautiful piano style.